Have a tired or well used Polysix in need of some TLC? 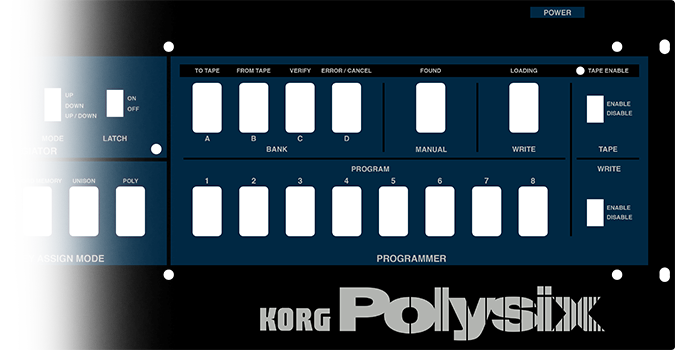 We have created an exact replica of the factory panel to give your Polysix a stunning like new appearance. Our professional panel overlays are the same factory Lexan self-adhesive overlays as used by top instrument manufacturers. Installation only requires removal of your knob caps and a screwdriver. Same size as the rear KORG logo on the Polysix. Add this decal to help complete your restoration project.